Lunch is possibly the most overlooked meal of the day with many people eating at their desks, grabbing a bite as they go into a meeting or skipping it altogether when they don’t have a chance to take a break. However, at its best, lunch can be one of the most enjoyable meals, the perfect way to relax after a busy morning, plan an afternoon of activities, or just break up a relaxing day with a chance to enjoy some delicious food in pleasant surroundings. 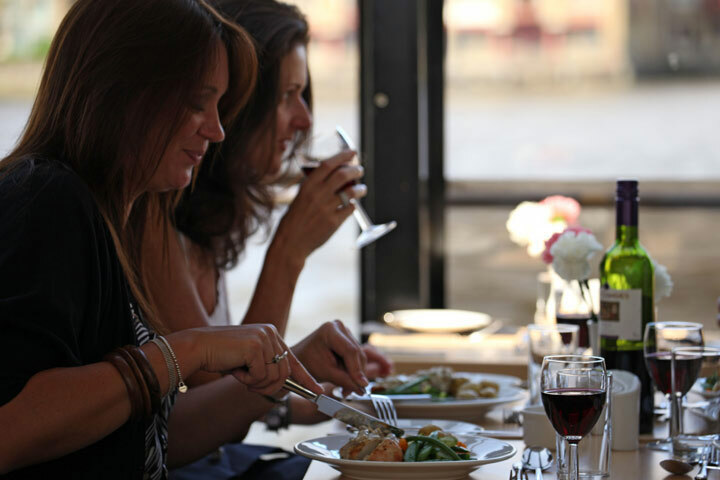 Eating lunch on board a river cruise boat as it meanders along the Thames is an experience which will appeal to even those who don’t normally mind eating a sandwich as they work. 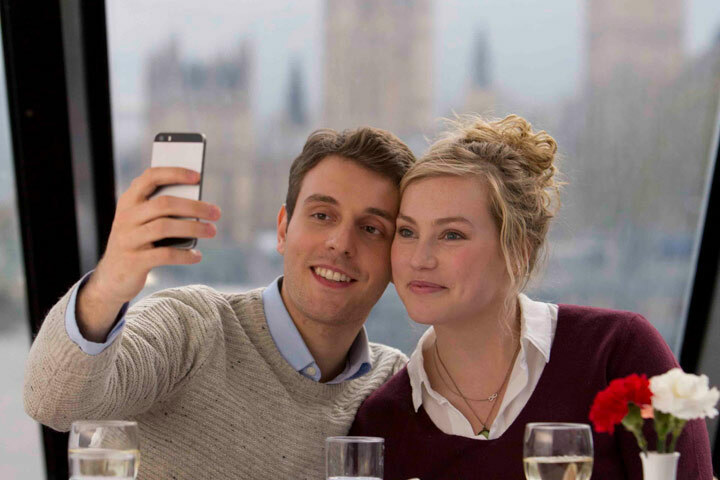 As the friendly team of waiters serve up carefully crafted meals, the panoramic windows offer unparalleled views of some of the most incredible landmarks in the capital, not to mention the perfect viewpoint for people watching. 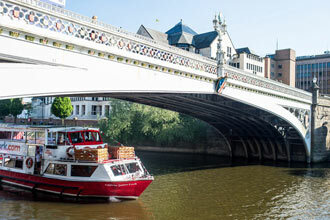 This lunch cruise lasts for 1 hour and 45 minutes, long enough to linger over the two-course meal and appreciate some of the most amazing views, but still have time to enjoy a day out in London with this chance to relax and recharge the batteries in the middle. The lunch comprises a main course and dessert and the well-stocked bar can provide an accompanying tipple to suit anyone’s tastes. 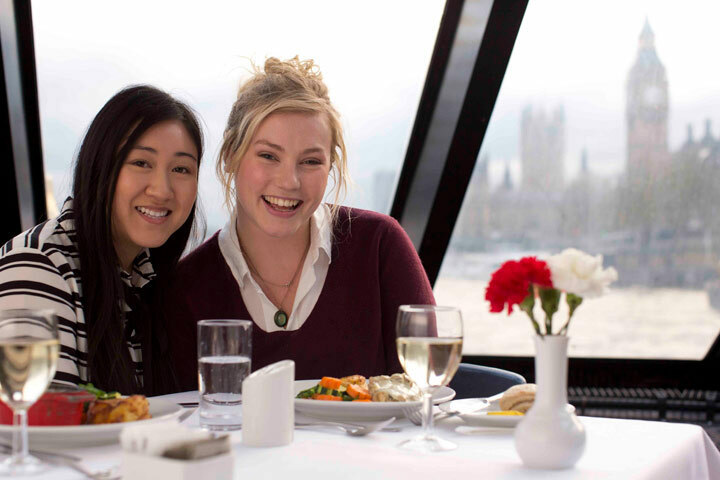 Once guests have eaten, they are invited to enjoy incredible views of some of the best-known sights of London, from historical monuments such as Tower Bridge and the Houses of Parliament to the more modern landmarks such as the London Eye and the Shard. These can be seen from the open upper deck, for those who want a little fresh air, or from the panoramic viewing windows which offer the chance to enjoy the views whatever the weather. 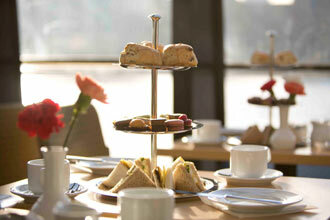 The soothing effect of eating lunch while experiencing the calming lull of the water makes this an ideal gift idea for anyone who struggles to carve out quality time for themselves, a perfect way to share a romantic meal in the capital or just a fun way to spend some time with a friend. 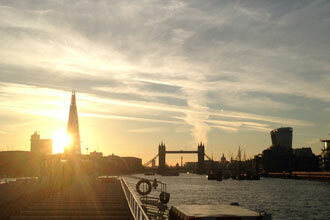 This experience is available Monday to Friday throughout the year, excluding Bank Holidays. Your experience will last approximately 1 hour 45 minutes.